Vuze is the first affordable fully spherical 3D 360 4k camera, and it’s the camera I’m most excited about for 2016. 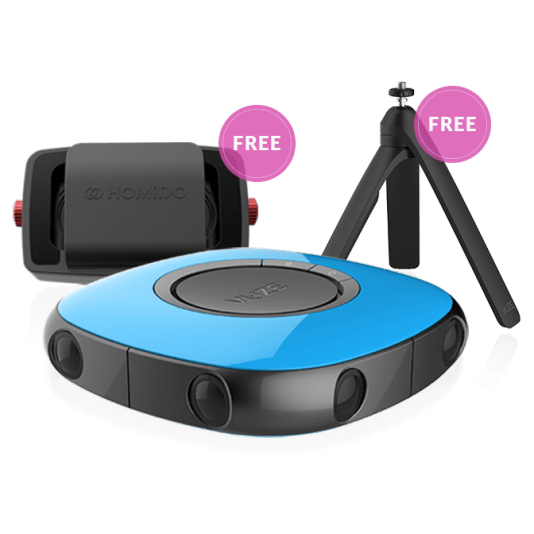 It will be priced at $799 (less than the Kodak SP360 4k dual pro, which is not 3D), including a custom selfie stick / tripod, VR headset, and the Vuze Studio video editing software. Now you can pre-order one with a 15% discount! At around $120 off, it brings the price down to a remarkable $679.15! To get the discount, just use the code VUZE15OFF . The offer is only until August 18. Vuze recently posted a sample photo and reported that it is still on schedule for release in October. Vuze has also posted several video samples, such as this one. Vuze has also uploaded 3D 360 samples on the Vrideo app. Thanks to David Grass for sharing this info!